These tiny earrings are made from solid sterling silver. 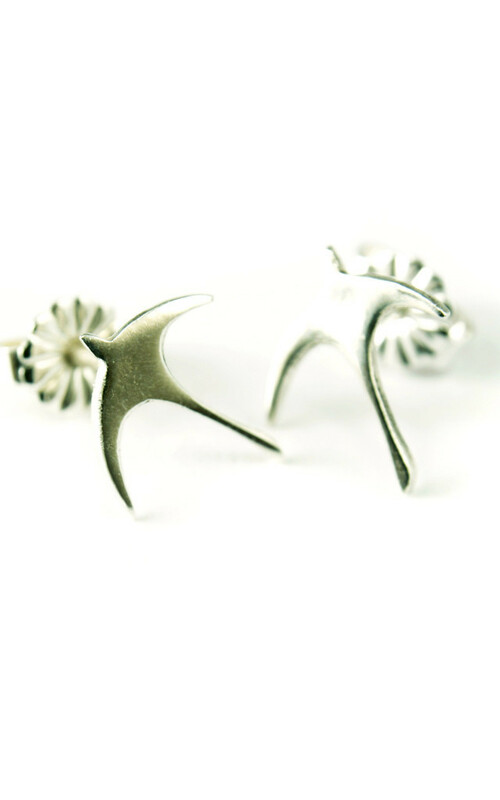 The earrings are made using 50% recycled silver on average and they are manufactured in small batches in North London. The original bird was sawed by hand from a piece of brass and then cast into silver.